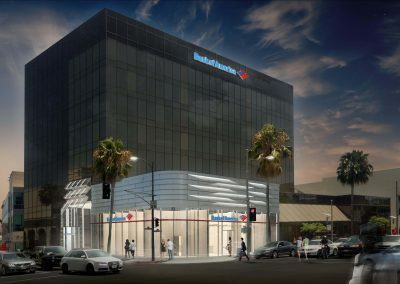 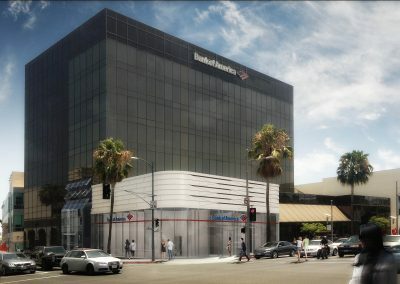 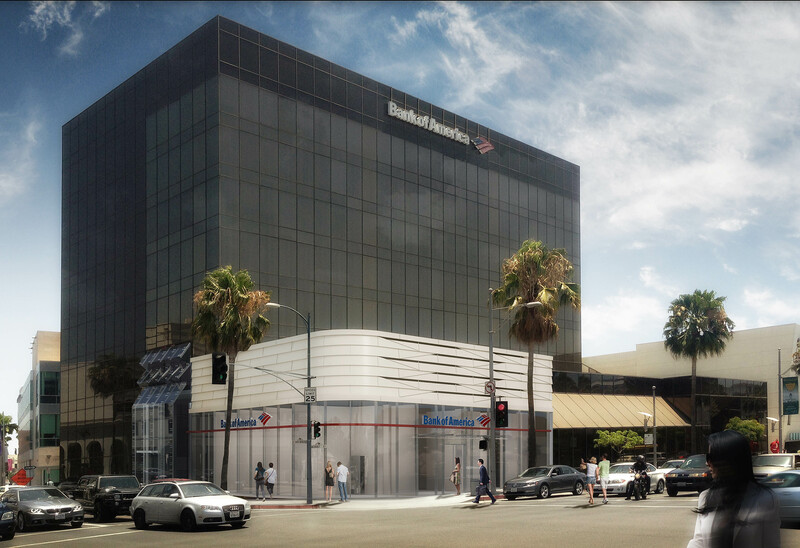 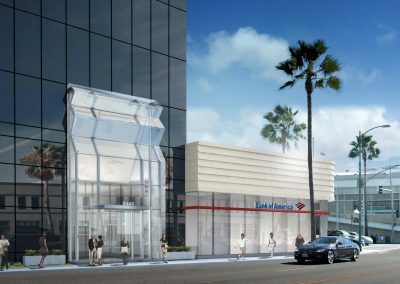 Gruen Associates is the Design Architect and Landscape Architect for the Bank of America Remodel at South Santa Monica Boulevard and North Beverly Drive, which is currently under construction. 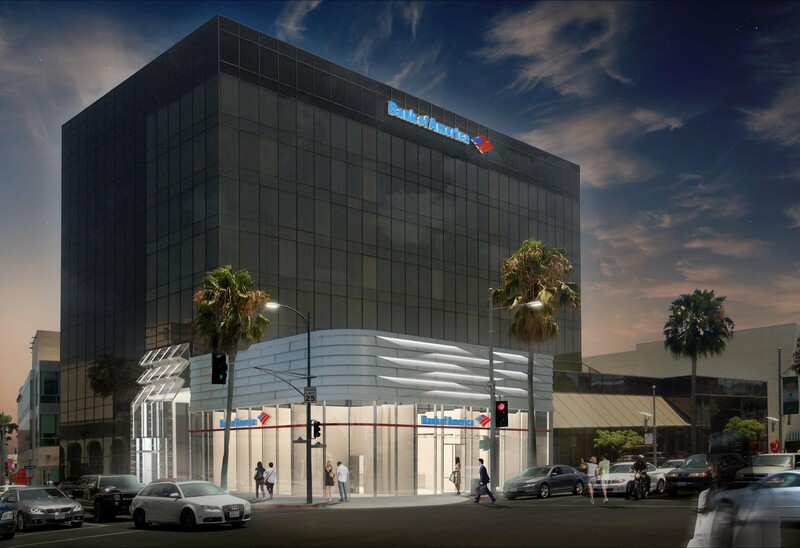 New exterior improvements for Bank of America will include landscape with strong profiles to complement the modern, glass surface of the building’s façade. 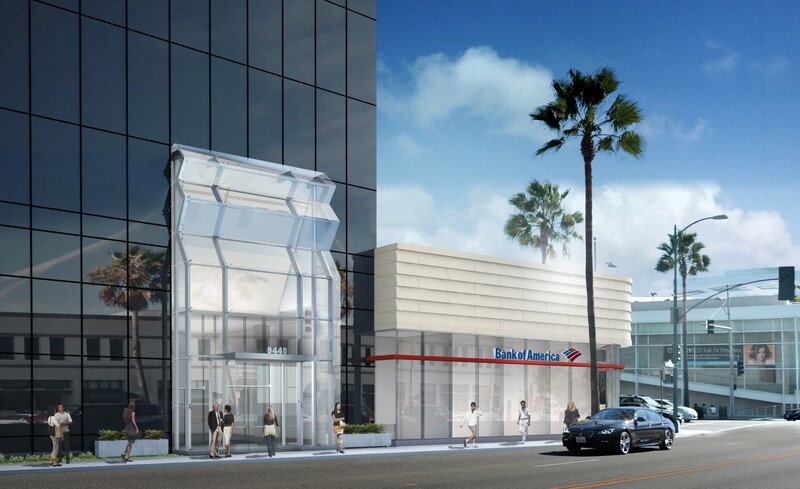 The improvements will create visual interest at the pedestrian scale for an inviting bank entry and improve the quality of street life for Beverly Hills.